Last week 16 UCLan students from Animation, Advertising, Graphic Design and Interior Design headed over to China to visit our joint school HBU-UCLan. This joint project has been running during the years of our partnership, yielding some fascinating creative outcomes to varying briefs. UCLan's 16 students were paired up with nearly 100 of their Chinese peers, and divided up into four separate groups. The brief was simply titled Half Rice / Half Chips. 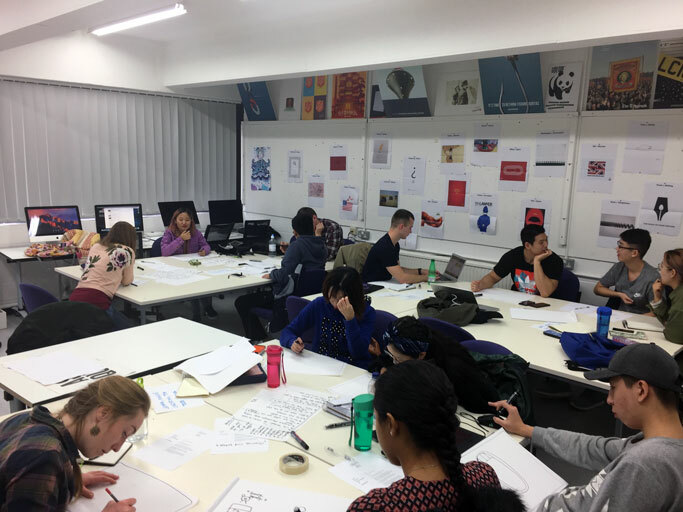 Creatively open, it required the four groups of students to create a response to the similarities and differences between the cultures of the UK and China. The soul requirement of the brief was to produce a digital presentation, the content of which could be absolutely anything. After initial meet and greets on the Monday morning, the students set about discussing the many themes that could be explored, but most importantly talking to each other and working out the gaps between their perceived views, and the actual realities of our two cultures. With five days to go from start to finish, there was a requirement to get going, but also a need to figure out what was actually going to happen. The ideas were cemented in place by the Wednesday morning, after which production mode was engaged! Group 2 (pictured above) were fascinated by the difference in pace of the UK versus China. In China, if something needs doing, it gets done. If something needs building, it'll be built next the time you look. China has the bullet train, the UK has Transpennine Express. On a deeper level, the Chinese students told of their lives growing up. School started before most people have woken up, often not getting home until 10.30pm at night. Each and every hour is precious and the maximum is gleaned from the resource that is time. Group 2 married the concept of the pace of life and named their project The Speed of Life. Working together creatively, the Chinese students were able to translate The Speed of Life into four Chinese characters. The UK students then saw an opportunity to merge the Chinese characters with the Roman alphabet. Before fusing the two pieces of typography together to create one identity. In China, Piano Tiles has become a super popular game for smartphones. The game was shown to us by Ruby (advertising); as it is played the game gets quicker and quicker - thus harder and harder. It formed a neat metaphor for communicating the pace of life. 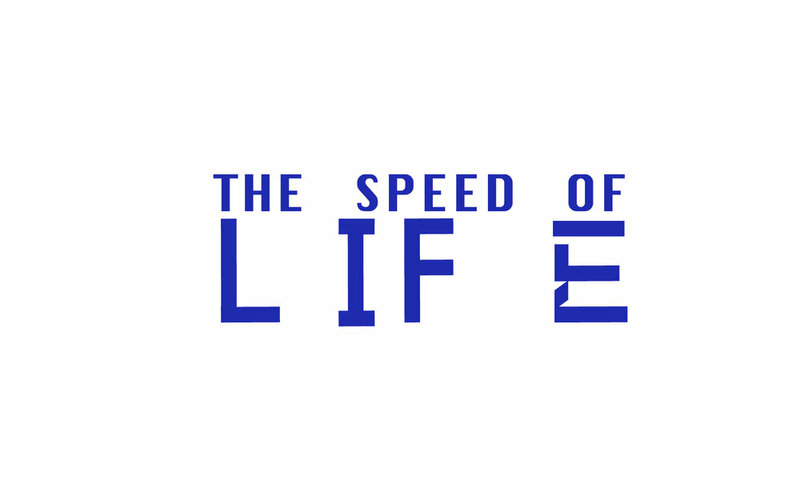 With the game in place as inspiration, MA animator extraordinaire Rosie took on the task of creating a demo of The Speed of Life game. In essence, the concept had a UK version of the game which was at a pace you could cope with, and had infinite lives to complete. The Chinese juxtapostion being much more intense, and also the lives tick away as it gets harder and harder. The students also created advertising concepts, tackling the contrast in pace and cultures, chop sticks juxtaposed with a cucumber sandwich for example. The identity was also applied to various mockups. This was just one of four projects completed during the week. We will post the others here when we can as some beautiful, witty and thought-provoking work was created. Big thanks to Guy and Steve for organising a great trip, and our man in China, Nathan, for taking us round. Remember when QR codes tried to be a thing in England? I think the main reasons they never took off was because they required you to have your own scanning app and just didn't seem to scan quick enough. It was far more easy to just use Google. Now ask yourself, how many times have you ever scanned a QR code? A few? A lot? I’m guessing the answer for a lot of people will be a big fat zero. If this is the case you can change that right here, right now. Scan the image below, and it'll take you to a mobile version...of my blog. How meta. I certainly can’t remember ever scanning a single QR code. I always thought they were useless and a bit of a gimmick. Not anymore. In China, QR codes are everywhere. They’ve moved away from being a joke and are an integral part of everyday life. Major retailers, street markets, restaurants, transport services, even beggars, and buskers. They all have and use QR codes. You can use these codes as ID badges. You can connect to Wi-Fi hotspots with them. You can use them to send parcels, reply to job adverts, you can even have them as tattoos. The main reason why QR codes are so popular in China is down to an app called WeChat. It’s a multi-purpose app that has nearly 1 billion daily users and has been described as China’s “app for everything”. One of WeChat’s main features is WeChat pay. It’s basically the same thing as contactless or Apple payment. And because WeChat has a built-in QR scanner, it makes paying for things effortless. You take your items to the till, scan the code, type in what everything costs, show the receipt to the cashier and away you go. Because QR codes are used so much, they work so much better than what I remember. They’re quicker, more accurate and don’t require you to stand directly in front of one for it to work. I once saw someone scan a code from about 5 feet away. I don't think QR codes will ever be as important as they are in China, but it’s nice to know that if they did make a comeback, they might have a bit more use. This post also appears on Nathan Harper's blog.